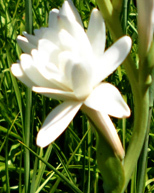 We still have the single tuberose bulbs for sell. 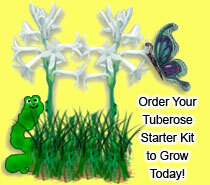 Mothers day is coming up and I know she would love to grow her own tuberose starter kit. Please place your order today while supplies last. 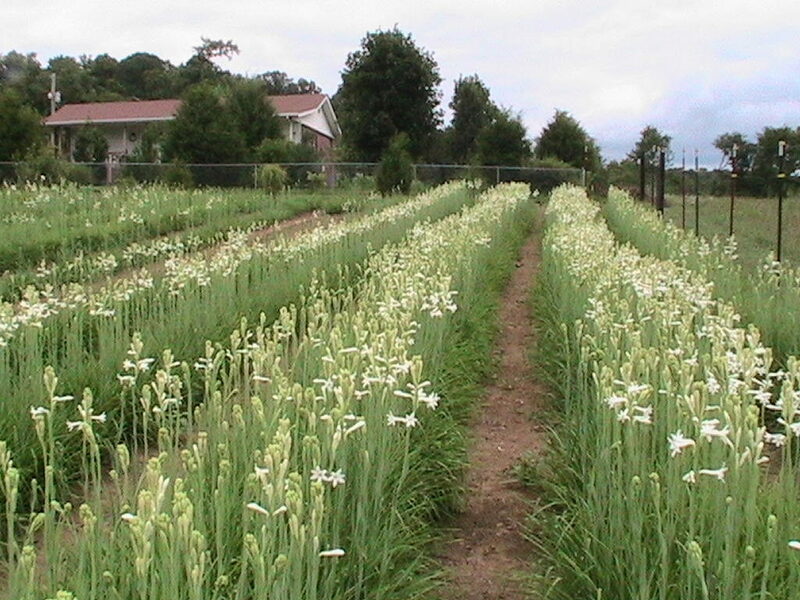 "A blessing from the Lord"
View of our home from the tuberose field. I moved to Gallatin Tn. in 1992. This is where my mom lived growing up as a child with her parents (The Marlers-papa and the Carters- mama). We as children visited our grandparents during the holidays and spent many days with them in the summers while school was out. 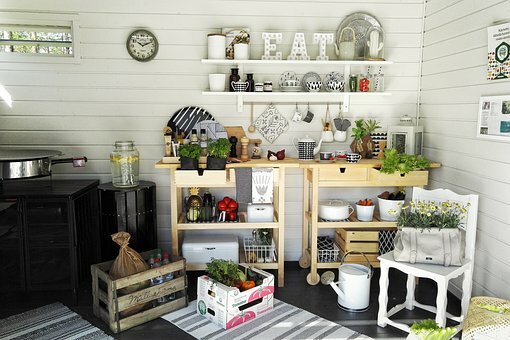 I remember mama putting the cut stems in the large metal milk canisters back then. I also remember down in the root cellar papa had dug out under there house is where he stored the bulbs for the winter. My mom’s parents the Marlers grew the tuberoses during the summer. 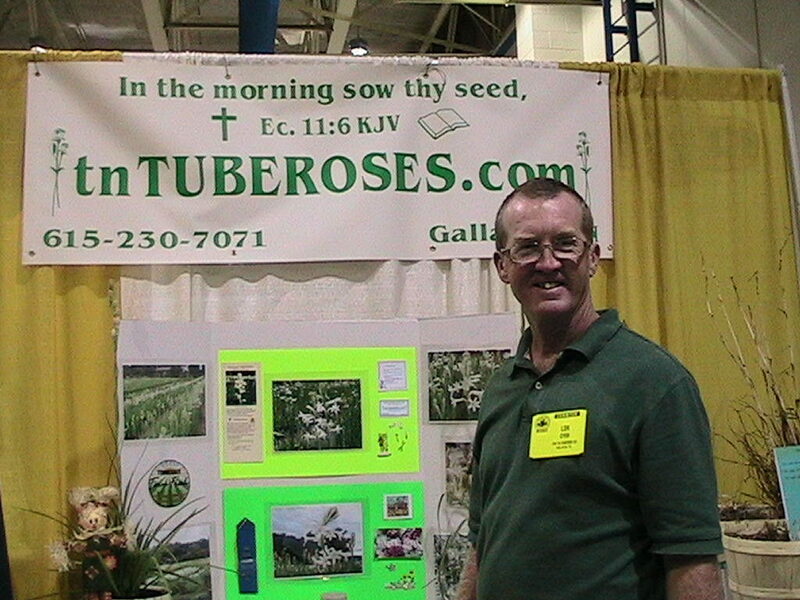 This is where I came to know about the tuberoses as a child. During our summer visits it was our job to weed between the flowers during the day. 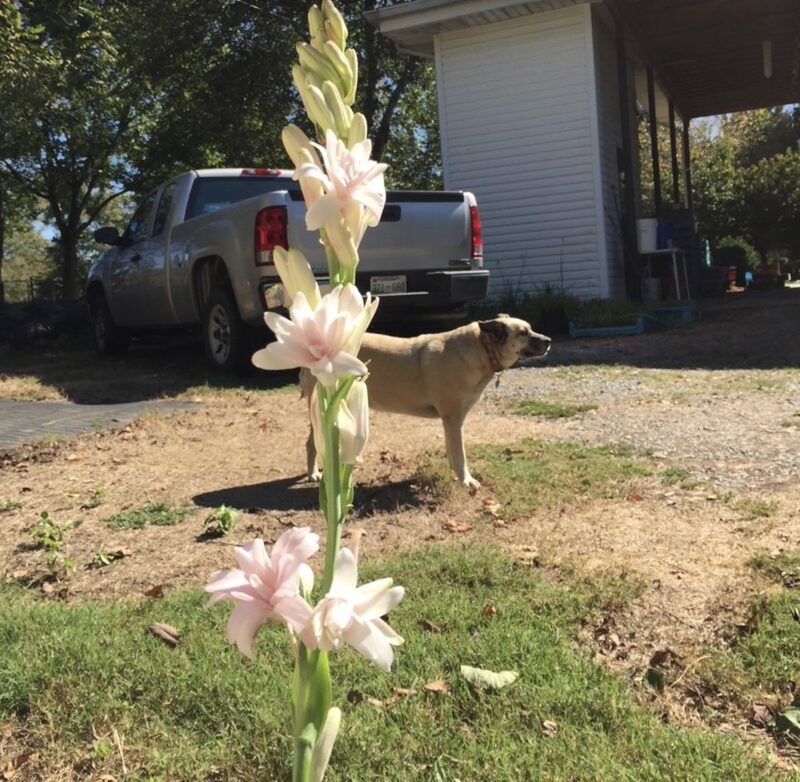 When the tuberoses were in bloom we helped mama cut the tuberoses that she would sell the next morning in Gallatin and Nashville. Little did I know about 30 years later I would begin my work with this flower and carry on what my grandparents and great grandparents had started here in Sumner county Tn. in the lil ole town of Gallatin. My mother Ruth Marie Marler Dyer and my brother Dan had grown these together during the years after our grandparents had passed on. So here comes Derek. And I took the 2-3 bushel baskets of bulbs they had been growing and never looked back. Praise God! 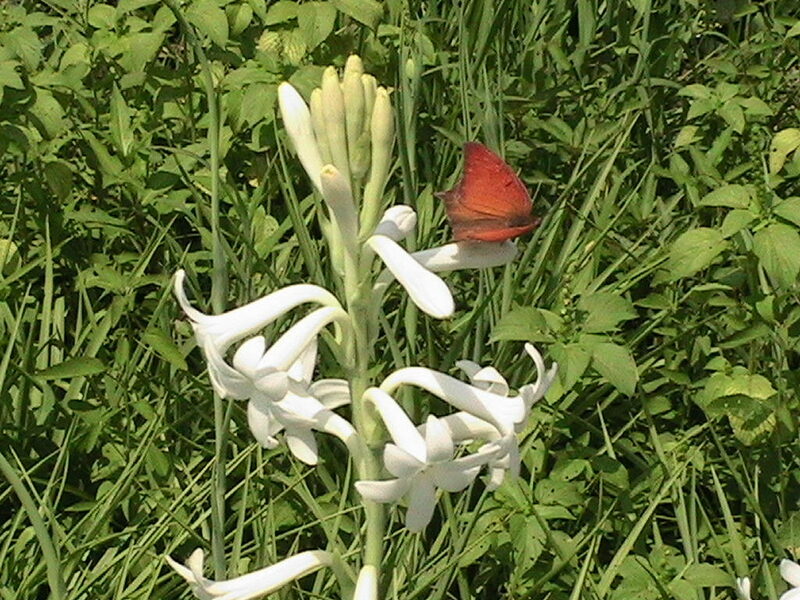 The tuberosa/tuberose flowers are one of the most fragrant flowers grown/cultivated in the world! This wonderful cut flower bears clusters of waxy, pure white florets (blooms) and is grown commercially in Europe as a source of perfume. Anyone growing tuberoses will be pleased with its beauty. 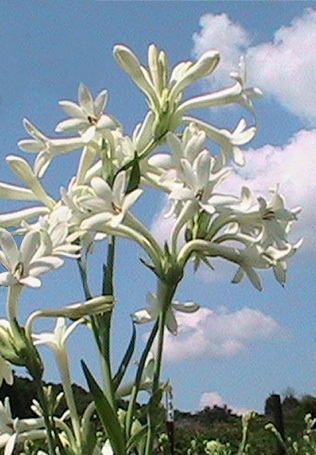 For further information and a planting guide, please see our tuberose growing tips page. 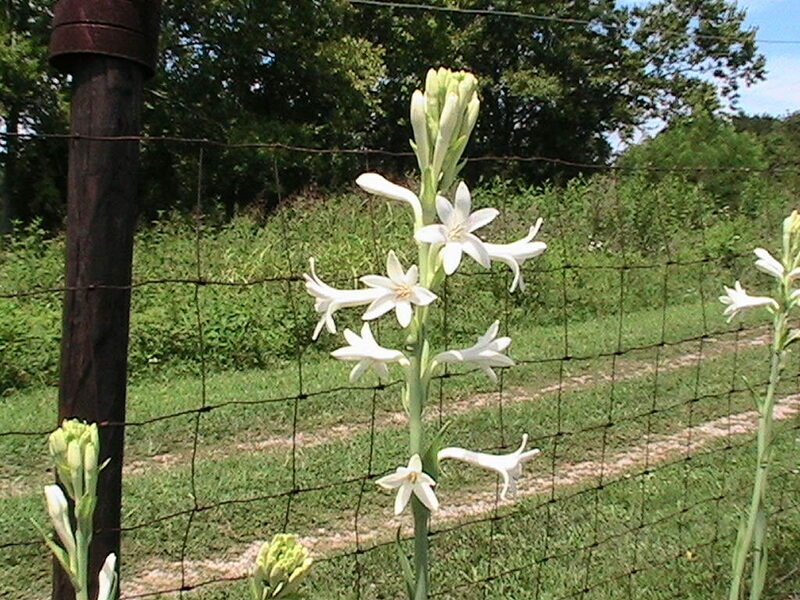 I start thinking about the planting of our tuberose bulbs around March Lord willing once the weather cooperates. We go out to the field and with weedeater in hand begin cutting down the tall grasses and weeds. Then I will get the tiller ready for the job ahead. I will go out to the field and till up an area for us to plant. 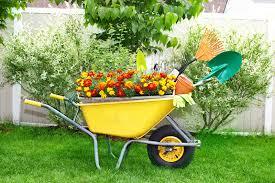 I rake out all the grass and weeds and will till the ground a few more times to insure the soil is fluffed up. By now I am getting excited about putting the string line out. 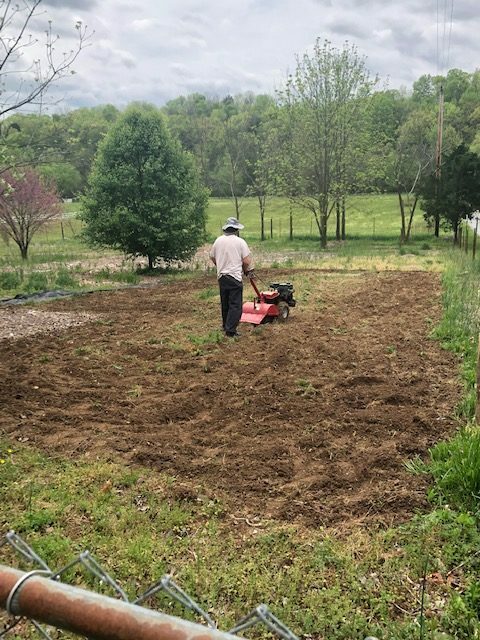 I take my strawberry hoe and dig a furrow down the string line. Thats when my wife will start planting. 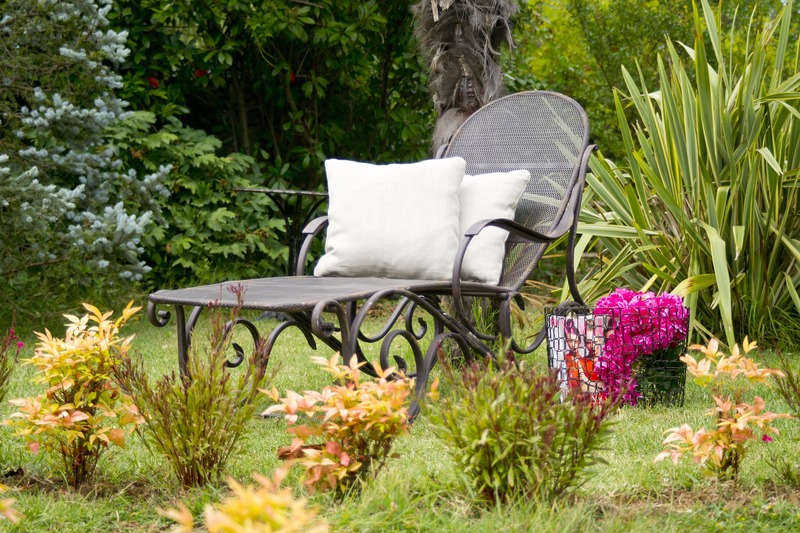 She will plant the bulbs about 4″ apart and cover with some dirt. 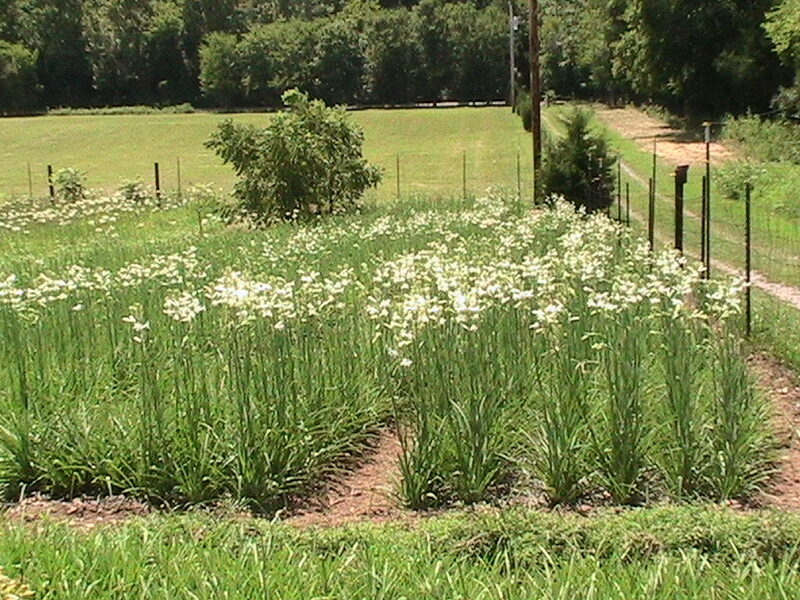 Once we get several 1,000 bulbs planted we will go back to the house to be thankful for the day. 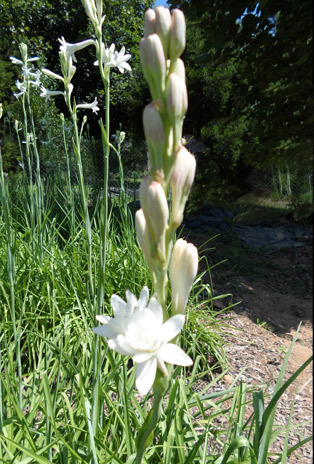 My walk in the tuberose garden each morning is like a breath of fresh air to my heart and soul. Its a blessing to see all the beautiful plants growing and what I will discover in my journey today. The beauty of the stems and blooms rising up from the green foliage, to see the spider webs between the stems, watching the beautiful butterflies flutter to and fro, and to see a walking stick gracefully perched on a stem. I spot a grasshopper nibbling on a leaf and watch hummingbirds darting in an out of the bright white flowers. It is a sight to behold! I am still amazed at the wonder (God’s) of it all. Thank you Lord. 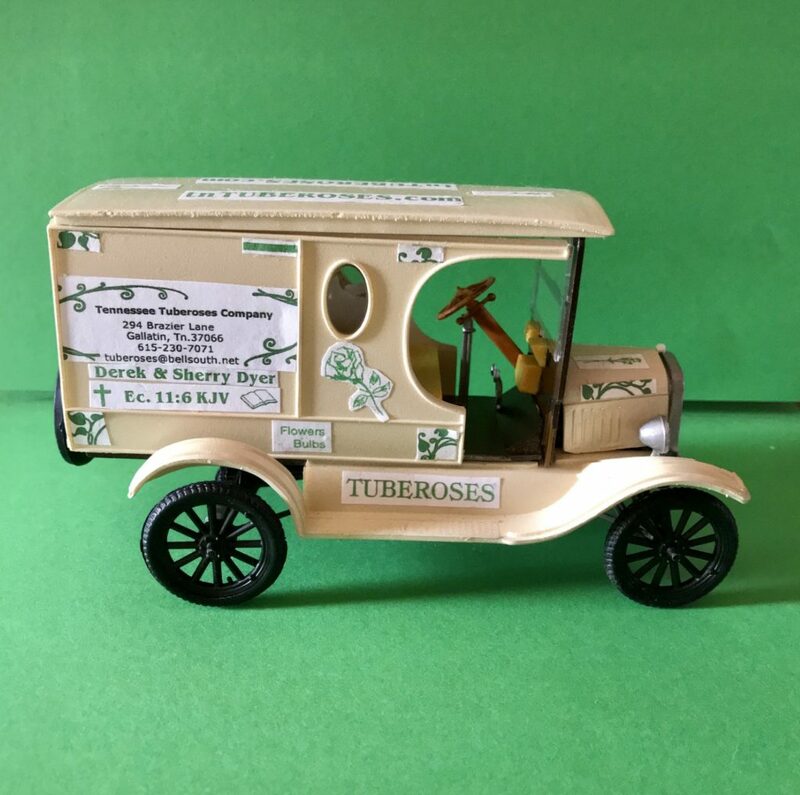 My wife and I and Purle treat our tuberoses as family. Thats how we will treat you (Our Customers) and the bulbs you receive from us and the service we provide. We ask you to take this walk yourself and share your experience with your family and friends. Our family thanks you very much.